Once there was a boy called Brandon. He was always an unlucky guy. This is his story. Brandon woke up. As soon as he got dressed and went downstairs and his mam saw him she said “what are you doing” Brandon did not know what his mam was talking about. She said “look at your clothes Brandon!” He then looked at his clothes and he had his underpants on the outside of his pants and his jumper on backwards! So he fixed himself and went to school with his friend Jimbubbly Biscuits. He was describing what happened this morning. “How am I so unlucky and you get nice things?” “I have something for you”. He pulled out a rare Pokemon card. “Wow” he said. “Not so unlucky now” said JimBob. 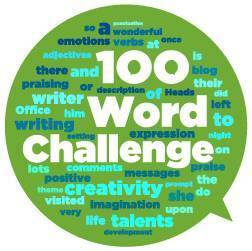 Well done on completing your first 100 Word Challenge story Brian! This is a great story – I felt sorry for poor Brandon, he was lucky that his mum noticed the state of his clothes before he left the house! I’m glad things turned out alright for him in the end, when he got the rare Pokemon card. Fantastic effort, well done! Hi Brian. This is a great story! Poor Brandon. His day didn’t get off to a great start. Lucky for him his mum came to the rescue – Isn’t that what a mum is supposed to do?? I particularly like the last sentence ‘Not so unlucky now’. It gives a lovely ‘Happy Every After’ ending to your tale. Hi Brian! This story really made me chuckle! How does someone put on their pants backwards? I wonder what Pokemon card it was? Hopefully shiny charzard that one was the best.